Apple’s latest iPhone still do not pack as much of battery life as a few of its nearest competitors. However, by applying some system tweaks, you definitely can improve the iPhone’s battery life greatly. Now since iOS 8 is out in the market, there are more ways to save your mobile’s power. Business and enterprises users love iPhone owing to its security and back-end management features which permit staff to bring their from home (BYOD) as well as make use of it in their workplace. The only one thing which makes the device little down from getting full marks is the battery life. In comparison to the older business favorite BlackBerry, iPhone’s battery life tends to be far from comparable. You now can limit which inactive apps download data, therefore consuming power in background. For example, though it may be functional for the mapping app to offer you with turn-by-turn up to date directions on road, you might not wish other apps, like Stocks app, to keep updating if you’re not mainly interested in financial market. In order to change the setting, tap to Settings, then proceed to General and go to Background App Refresh, deselect apps which you do not wish to update the background while they aren’t in use. AirDrop is available now for iPhone 5c, 5s, and 5 device running iOS 7, letting you share photos and files with colleagues and friends over air when they’re in close proximity. However, its use can catch a heavy levy on your battery, mostly when AirDrop is on “discoverable” mode. Just swipe up from home screen to raise Control Center, and then tap AirDrop. Choose Off whenever you aren’t using it. This is another way on how to save battery on iphone. The calls drain the battery meter significantly, even if you do not pick up the incoming calls. In case you get same person calling persistently, you can block them now from reaching you. For doing this, tap on Settings and then roll down to Phone. 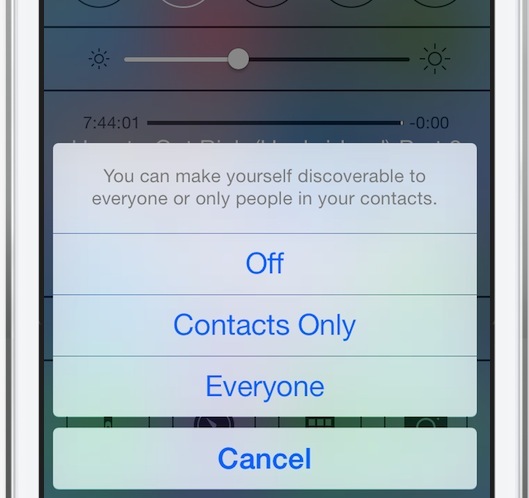 Roll down to Blocked further and select contacts you automatically wish to reject access. While this aspect blocks the incoming calls, it doesn’t stop the callers from leaving you voicemail. iOS 7 will update your apps now in background. As you get connected to the Wi-Fi network (or cellular network), the apps will start updating without even bugging you. However, this consumes power and data, and must be restricted when you’re free for plugging in your iPhone for charging. 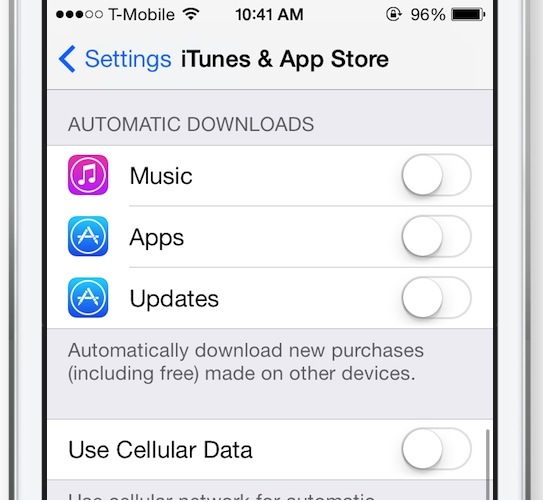 Tap the Settings, scroll to iTunes and Apps Store and then turn off Updates and App settings. Another fast tip on how to save battery on iphone: You can agree to updates when you’re there on Wi-Fi by deselecting only Use Cellular Data simultaneously. Your iPhone powered with iOS 7 from get-go record where you go in order that it can choose nuggets of information which may help you, mainly if you visit the places frequently. It updates Today section in notification center, and gives you estimated time of arrival to the destination. While it’s a useful feature, it’s far from very necessary, and could be turned off in order to save some battery. Buried deep within the device’s settings, you’ve to find the way from Settings to Privacy to Location Services to System Services, and then switch off Frequent Locations option. If you jiggle your iPhone slowly in your hand, then you may notice “parallax” effect of the 3D icons sitting on the top of wallpaper. The effect uses some internal hardware to feel the direction, motion, and speed of your movement. This, as you may expect, will consume the battery. Although visually quite cool and flashy, it’s not completely necessary if you’re power user. To disable this “moving wallpaper” feature, tap on Settings, scroll down to General, then head to Accessibility and finally to Reduce Motion, flick the switch to on position. Spotlight requires to regularly indexing your whole phone’s contents in order that it can cater the best results. It may not make use of up a complete lot of the processing power; however, it certainly is helpful in long run by eliminating items from list which you don’t utilize. You can choose which areas of the phone to index simply by heading to the Settings > General > Spotlight’s Search and then tapping any of the item you desire to exclude from search index. Siri can be simply activated by holding iPhone near your face, like you’re having face-to-face chat with intelligent assistant. However, proximity hardware sensor always is checking to observe if you’re nearby. This might impact the battery over course of day. 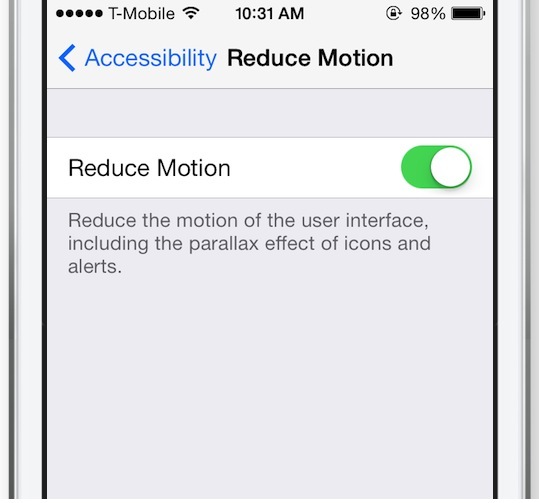 Head to the Settings > General > Siri, disable this ‘Raise to Speak’ icon to disable this specific feature. The alternative of how to save battery on iphone isn’t so bad too: You still can hold down home button to talk to Siri. Notifications alone don’t source battery drainage; however, the complete act of activating backlit display will do. Applications make use of notifications so as to inform you about what’s going in the world, like new emails, reminders, text messages, and who’s responding to you at social networks. It’s sensible to set a few notifications to the “silent” mode; however, this requires a little tinkering in the settings. Tap on Settings > Notification Center, scroll down. Under every category of notifications which you like to mute, like low-priority features such as Game Center or Photos, tap to every setting. Under the Alert Style, only tap None. Repeat for every setting. Some people believe that iPhone’s “auto-brightness” element is how to save battery on iphone by automatically and dynamically reducing or increasing the brightness of screen, depending on how much light is there around you. 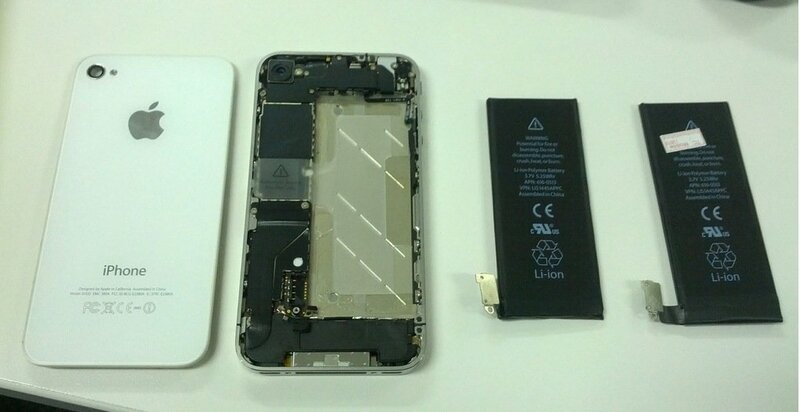 Yet, some others argue that it alone can lead to battery draining actually. It might not be simple to read the iPhone’s screen in sunlight, and you might not get most out of its high-resolution display; however, this is about saving your battery instead of anything else. The most excellent practice is to point disabling auto-brightness. Head to Settings > Brightness & Wallpapers, decrease the brightness to about 10 to 25 %, or whatever feels comfy. In order to select “still” wallpaper, select Settings > Brightness & Wallpapers and then scroll down, tap your present wallpaper under the Choose Wallpaper. Select background from Stills category, or static photograph of your own option. Location services make use of GPS for the location-aware services and apps. While it’s helpful knowing where you’re on Google Maps, what’s it you don’t see is what’s going on behind scenes. Ads get displayed depending on your location, as well as traffic data keeps getting updated — temporarily, your iPhone always is pinging out to make out where you’re keeping a watch on time zone that you’re in. All these things are needless and use up the battery life. Head to Settings, scroll down to Privacy and then select Location Services. If On, scroll down onto System Services, uncheck all these items. If you’re not utilizing Location Services, like GPS, then just turn it Off. Push email is extremely useful for the times when you’re running besides the clock. Emails get downloaded automatically and immediately from the server as they arrive, instead of waiting to send as well as receive. However, if you do not mind waiting that much long, you can decrease the download cycle in order that your iPhone constantly isn’t listening for the new email. Instead, it’ll run a schedule in few minutes, which helps in conserving battery life ultimately. Head to Settings, Mail, Calendar, Contacts, scroll down to the Fetch New Data option. From there, disable Push option. After that, scroll down and position the fetch program to 15 minutes in order that it runs “send and receive” plan every quarter-hour. In case you need numerous email accounts in order to push emails to your device, choose Advanced and verify the setting for every separate account. Wi-Fi and all other wireless radios must be disabled whenever they’re not in used, as they make use of a noteworthy amount of battery’s life. If you’re at home or at work, and you’re in building where cellular signals are weak — such as city apartment or thick-walled house— you might discover that leaving the Wi-Fi turned on as well as connected to stable network helps battery all through the day. The anecdotal reports recommend that when the iPhone has excellent cellular signal, device’s battery will stay at moderately stable discharge rate. However, when you’re on older GPRS, 3G, or EDGE, your iPhone battery life may reduce far quicker because it’s searching constantly and “pinging” for higher-quality cell sites with better signals. Under swipe-up’s Control Center, tap Wi-Fi button on. Or, head to Settings and then Wi-Fi, and set it to on. Also, put to Ask to Join Network to Off in order to keep that the Wi-Fi network linked. If you’re not sending items to some other devices utilizing Bluetooth, or not using Wi-Fi hotspot, these can be turned off always. Under Control Center, tap Wi-Fi button off, and Bluetooth button also off. Reducing the time period it takes for the iPhone to switch the display off is how to save battery on iphone. When smartphone is place on any table, for instance, it takes a minute or even two — perhaps longer — for display to get turned off. It means that the display can silently eat away at device’s battery life when it’s not being used actively. Head to Settings, then select General and Auto-Lock then set it to 1 Minute preferably, based on your preference. The shorter is the time period, greater the advantages to your iPhone battery life. Though 4G is quicker than 3G connectivity, it uses lots more battery power also. Long-term evolution uses a completely diverse hardware radio and drains the battery more quickly. When not streaming videos, utilizing high-bandwidth applications, or tethered to tablet or laptop, you can disable LTE and 4G connectivity altogether. You’ll get slower download speeds but it’ll also help save iPhone’s battery all through the day. Head to Settings, tap on Cellular, switch off Enable 4G button. A few iPhone apps don’t close completely when there are not being used longer. Instead, they lie inactive in background. When using battery- or memory- intensive applications, these still churn up power in background. It’s advised that when you don’t need to make use of an app, close that down entirely. In unlocked condition, double-press Home button on iPhone, and then swipe up any open app so as to close it. Vibrations are helpful to enable, mainly when you’re working at loud environments — or very quiet ones — thus you can leave iPhone on silent as well as receive buzz in the pocket when new notification or message arrives. Physical motor spinning within the device causes such vibrations, however this uses up valuable battery life. They can be disabled, or restricted altogether. Head to Settings, to Sounds and choose whether you wish to enable vibration while phone rings, or whether you want to enable it while it’s set to silent mode. In a few cases, software bugs led to complaints which battery life decreases faster than normal. The bugs work their way occasionally into Apple’s iOS, software which runs on iPads and iPhones, but can be fixed often with software update. Normally, the iPhone users are automatically notified when any update is available, change log will also note if bugs persist, especially those relating to the battery life. To check manually, head to the Settings, then to General and Software Update. Ensure you’re connected to Wi-Fi network prior to downloading anything so as to save money onto your data plan.